DDR Professional Data Recovery Software recovers files and folders deleted from Windows hard disk drive and USB flash digital media. Software restores lost photos, videos, images, text files, mp3 or mp4 songs and other important data from digital data storage media devices. Professional Data Recovery tool has advanced inbuilt disk scanning mechanism that scan and recover your all missing or mistakenly deleted data files. My Recovery Software provides different types of data recovery produts to recover accidentally deleted or lost files from memory cards, USB drives, digital camera, hard disk, etc. Restores data lost due to virus attack, accidental deletion, formatted or reformatted drives and other data loss causes. 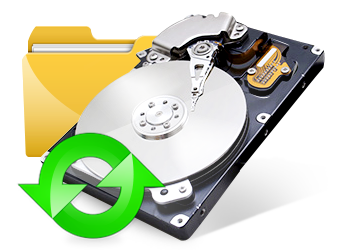 Recovers deleted or missing pictures, photos, video clips, audios, etc from hard disk and USB removable media devices. Software uses advanced inbuilt disk scanning technique to scan and recover lost files and folders. Provides facility to save your recovered data files at specified location on your PC or laptop system. Provides data preview facility to view your lost data files before final recovery process. Retrieves lost data even if “drive not recognized” error message displays on your computer system. Recovers data lost due to permanent deletion of files, error messages, software virus, unexpected system shutdown and other data loss reasons from FAT hard disk partitions. Restores files and folders lost after accidental deletion, disk format, virus attack, human error, power failure, etc from corrupted or logically crashed USB drive storage media. Software recovers deleted or lost text files, pictures, images, video clips, mp3 or mp4 music files, etc from Windows hard disk drive partitioned on NTFS and NTFS5 file system. Easily recovers text files, audio-video recordings, photos, pictures etc lost or deleted from SD, xD, MMC, CF, microSD and major branded memory card formats.